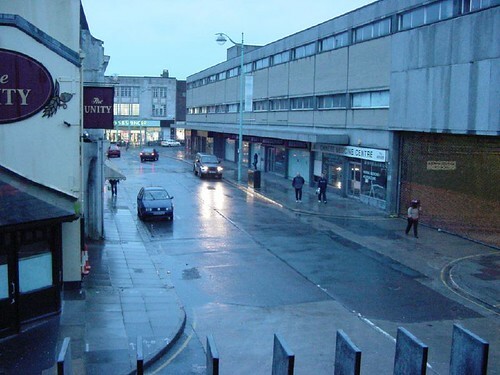 Wikipedia states: Drake Circus Shopping Centre is in the centre of Plymouth, England. 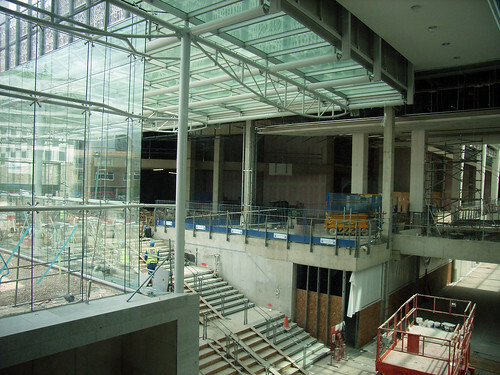 It is a 60,800 m² (654,000 ft²) covered shopping mall which opened in October 2006. 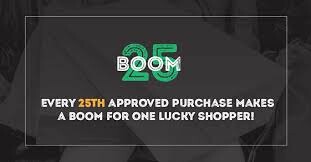 It includes such retailers as Next, Primark, Waterstone's, Virgin, Spudulike, Burger King and Schuh, and abuts an enlarged Marks and Spencer. The new building, designed by London-based architects Chapman Taylor and built by Bovis Lend Lease and situated behind the ruined Charles Church, preserved as the city's civilian war memorial, has provoked a mixed reception. The description of "inexcusable" by Plymouth University's professor of architecture, Jeremy Gould, was backed up by renowned architect David Mackay, who came up with a blueprint for the future of the city. Speaking ahead of the opening, Mr Mackay, said the design for Drake Circus was already "10 years out of date". 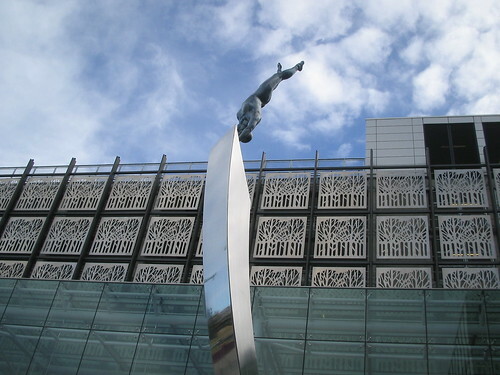 Just after it opened, the shopping centre won the 'Carbuncle Cup for crimes against architecture' for being the worst new building in the UK. Is this the worst monstrosity ever to blight a town centre? Possibly not. But as an example of how bad architecture and bad planning can combine to produce something truly awful. It’s so awful that it’s hard to imagine what went through the architects’ minds — hang your head in shame, Chapman Taylor — as they gazed at their computer screens, adding the finishing touches to an exterior so surreally grotesque that Salvador Dalí should be spinning in his grave with envy. However in 2007 it won two favourable national awards. The term circus as used here refers to an open space, usually circular, where a number of roads meet (see, for example The Circus (Bath)). Drake Circus was originally a large oval roundabout built in the early years of the 20th century at the junction of four roads. The roundabout consisted of Edwardian buildings that housed shops, one of which carried the "Guinness Clock", which was visible to people travelling up Charles Street and was a famous landmark in the city of the time. All of these buildings were demolished in 1966-7 as part of the Plan for Plymouth, leaving an open roundabout. 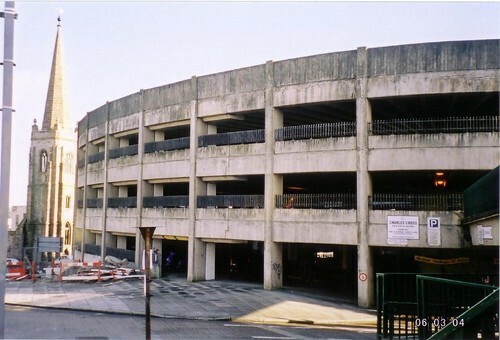 At this time the lower section of Tavistock Road to the north was renamed Drake Circus, and in the early 1970s, just to the south of the roundabout, a new two-level shopping centre with open malls was built around a large C&A store. This was also named Drake Circus. The scheme suffered a setback in January 2005 when Allders went into administration. New tenants Next and Primark committed in 2005 and the building opened in October 2006. 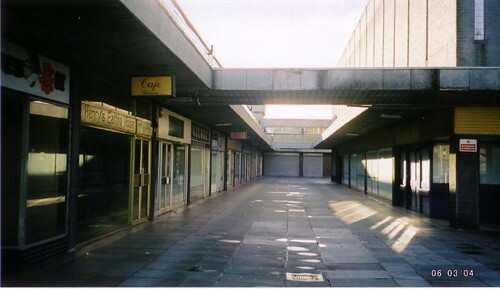 On 3 February 2005 it was announced that the shopping centre had been sold by P&O Estates to Morgan Stanley Real Estate Fund for the sum of £55m.On 20 November 2006 it was announced that Kandahar Real Estate had taken a 50 per cent stake in the centre. © Gora Gray. Gora has a fantastic collection of photos of this area both before and after.